It's been a while but I'm back from my little vacation and ready to bring you ladies some more NPT :). Hopefully you like the new look. I figured the blog needed a little updating. I was fortunate enough to work with a wonderful graphic designer from over the pond Daniel Frampton who was so patient, accommodating and creative. I'm over the moon with the results and hopefully you like it too. On to the post! A few weeks ago I was in the mood for a red that was not flat, that had coverage and shimmer (my favorite effect). I chose this gorgeous Zoya beauty Nidhi. This color is unique in formula because depending on how you apply it, it can work as a jelly sandwich or alone. I opted for a solitary look because of the manicure I had planned for the following week. 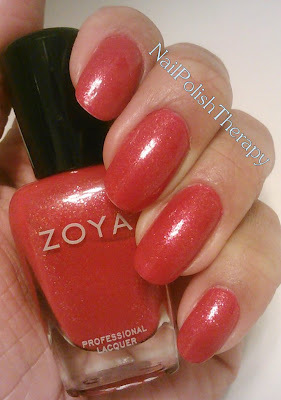 As always Zoya doesn't disappoint and this formula was easy and consistent to apply. 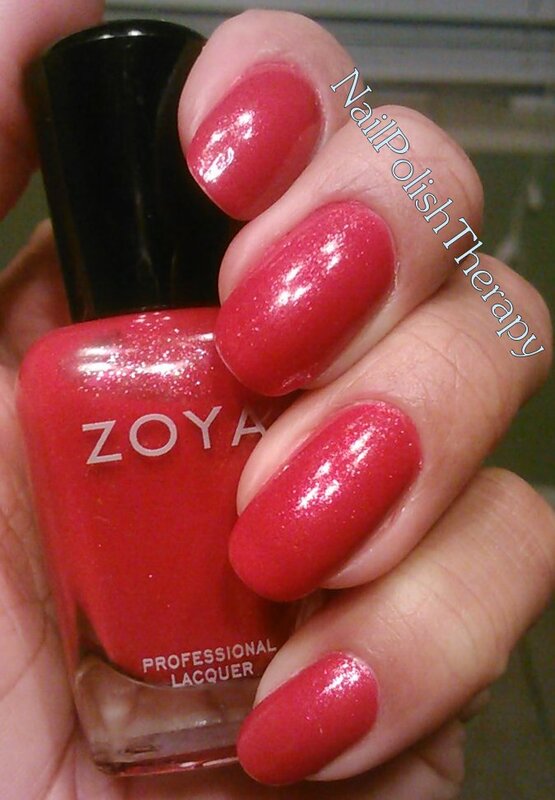 Nidhi is a firey red with gold shimmer throughout. 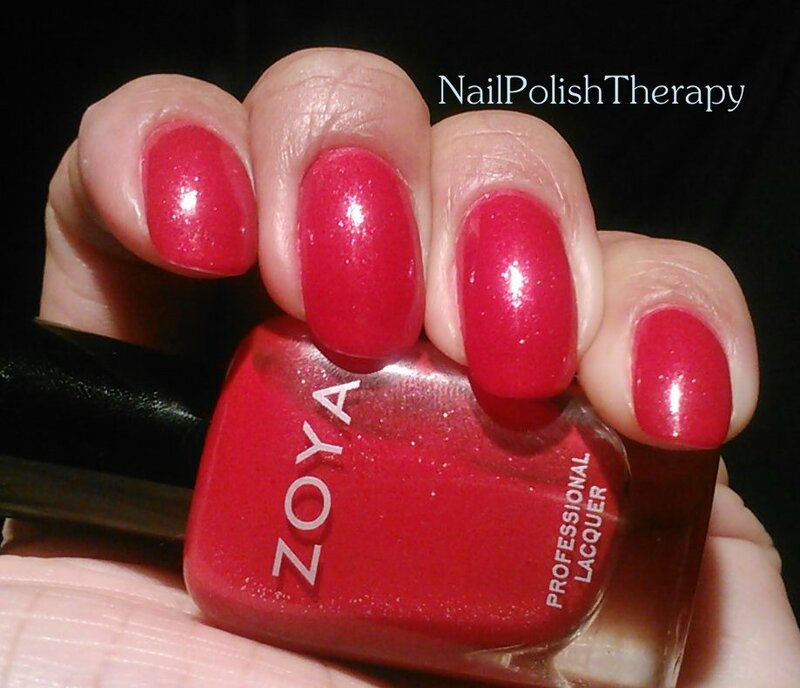 This color can be used all year round, but I put it in my Summer drawer of colors of my helmer. So here she is...Thoughts? Feelings? Concerns?